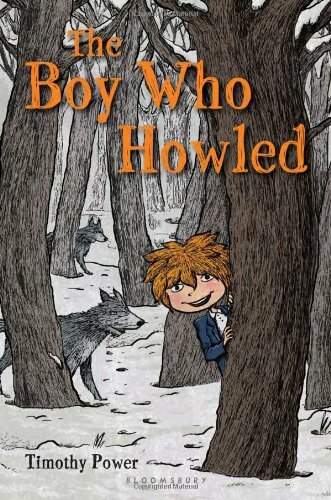 Timothy Power’s debut middle grade novel, The Boy Who Howled, has that perfect mixture of tension, humor and surprise that makes you want to keep turning the pages to see what happens to Callum; a young boy who was raised by wolves and then sent back to live with his own kind—humans. Yes, there were many laugh-out-loud moments in this story. If you’re looking for an uplifting and humorous story with a healthy amount of tension and a unique voice, then pick up The Boy Who Howled. We read it out loud at our house and loved it!! You can find Timothy at his blog and at Project Mayhem, and on Twitter @timothypower67. I’m giving away one beautiful copy of The Boy Who Howled. Comment below by midnight Friday EST for a chance to win. Thanks for this, will be sure to check it out! Sounds like a fun book. I’m going to have to look for this one! Welcome back, Paul. I did the ‘look inside the pages’ check. I’ll have to get this one for my grandson. Currently reading a terrific book based in your neck of the woods by an Alaskan author, Basil Sands, who is also from Fairbanks. It’s been hot & humid down here so ’65 BELOW’ seemed like a good choice for a Chiller, I mean Thriller. I’ve been looking for my next book to read out loud. Thanks for the suggestion! The premise sounds excellent (and Power’s website is Grade A), but the cover is what makes this a must-have for me. I love the way it looks nostalgic and fresh. Looks fantastic! I’m recommending this to our school librarian. Thanks, Paul! I added it to my TBR list. Thanks for posting this and the opportunity to win it. Oh, I would love to win this (if not, I will definitely buy)! My son’s name is Callum and there are, um, zero books with his name as the main character. Excellent stuff! Thanks for participating in my contest. A random number generator will choose a winner, which I’ll announce on Monday! I’ll definitely have to look at this, but the cartoon cover/ goofy factor may make it a little young for my readers. This sounds perfect for my sons ~ thanks Paul! What an amazing cover! Just great!